Highlights include a study on the cave fauna of Georgia, the structure of bat communities in Jordan, the size of the home range of Hermann’s Tortoise, a study on year-round aggregations of Sandbar Sharks in the AegeanSea, community structure of the deep sea fishes in the Red Sea, and new evidence that the Leopard reoccupies its historic range in the South Caucasus. 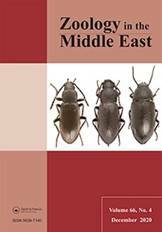 Highlights include Review of the vertebrate-mediated dispersal of the Date Palm, the spread of the Rose-ringed Parakeet in Turkey, Molecular and morphological evidence for a new subspecies of Fazila’s Lycian Salamander in South-west Anatoli, and The Black Bordered Arab, Colotis ungemachi in the Middle East, and the first confirmed record for Ethiopia. Highlights include Intraspecific killing among Leopards in Iran, Melanism and coat colour polymorphism in the Egyptian Wolf from Egypt, Floral preferences of hoverflies in response to the abundance and species richness of flowering plants, and Phylogeography of Walton’s Mudskipper from the Persian Gulf and Gulf of Oman. Highlights include Long-term effects of fire on ant communities in pine forests in Turkey, limited polymorphism in two spittlebugsin Mediterranean island populations, evidence of seed germination in scats of the Asiatic Black Bear and the first record of the Southwest Asian Badger from Afghanistan. Additionally, description of new species of fish, molluscs and insects. Highlights include phylogeography of Blanford’s Fox in Africa and the Middle East, the impact of nest relocation on the reproductive success of Loggerhead Turtles, and an identification key for the scorpion fauna of Egypt. Another study found that rats predate in Israel on Near Eastern Fire Salamanders, while they consume selectively only non-toxic tissue. An Iranian team used the Gray Toad-headed Agama as an example to study the question whether the degree of niche overlap depends on the phylogenetic distance. Highlights include: Nest position and breeding success of the Black-crowned Night Heron, reproduction of the Barn Owl, first record of Dusky Warbler in Iran, a new species of frog-eyed gecko, diet of native and invasive fish species along the eastern Mediterranean coast, etc. Bees belonging to the genus Trachusa are important pollinators. This publication is the first comprehensive overview and guide to the species found in Europe, Africa and Asia and provides descriptions of all species and gives identification keys. All species are illustrated, with altogether 205 colour micro photographs and over 50 line drawings showing morphological details. The species accounts are further supported by distribution maps and graphs depicting seasonal occurrences. 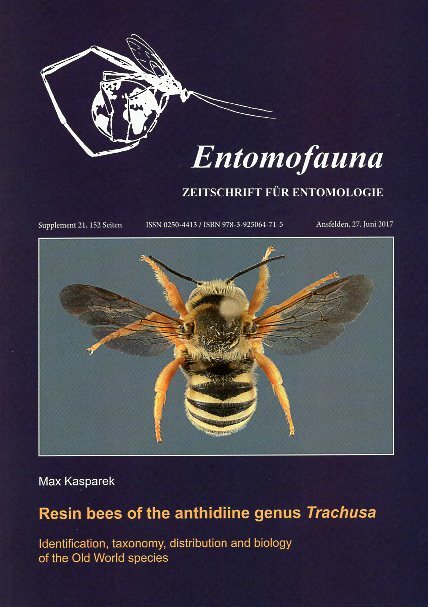 Published in cooperation with Entomofauna. 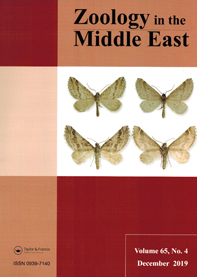 Articles include for example a population assessment of Soft-shelled Turtles in Turkey, breeding status of the Greater Flamingo in the United Arab Emirates, the description of a new chromosomal race of blind moll, a new species of cling fish from the Mediterranean Sea, and the description of hnew hover flies from Tuirkey and the Caucasus. Articles include a reconstruction of the historical population of the Dugong in the Persian/Arabian Gulf, results of new surveys of the migration of the White Stork and the Black Stork over the Bosphorus, a new species of snake, taxonomy sand boas in Iran, and descriptions of new species of dipteran flies and spiders. 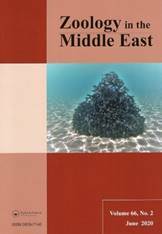 This issue of Zoology in the Middle East contains an overview over the changes in the avifauna of Israel within the last 14 years and shows the highly dynamic character of bird life with several species found breeding which had not been there before. One of the papers deals with a risk screening of non-native and translocated freshwater fish species in a Mediterranean-type shallow lake in Turkey, another assesses the age at maturity of some fish species occurring in Turkish marine waters. Again several species are described new to science including a fish, an ant, an ant-loving cricket, a diptera, a spider, and a soil mite. Bees belonging to the genus Stelis parasitize on other bee species and are therefore also called “cuckoo bees”. 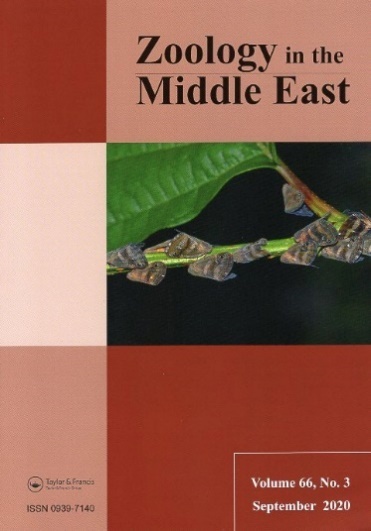 This publication provides for the first time a comprehensive guide to the Stelis species of Europe, North Africa and the Middle East and summarises our knowledge on all 29 species, and gives for the first time a comprehensive identification key in the English language. The species chapters are richly illustrated with 155 colour micro photographs and altogether with 246 line drawings. The book also contains information on flowers visited, seasonal occurrence and colour distribution maps.